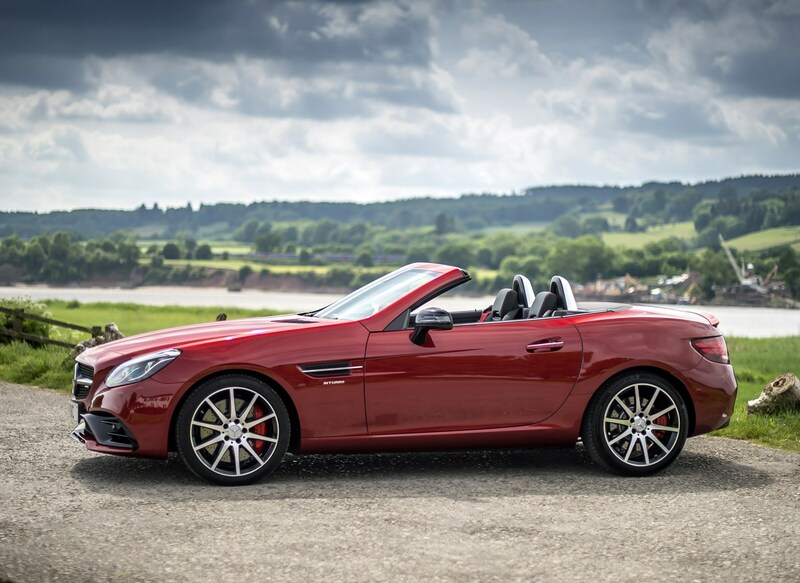 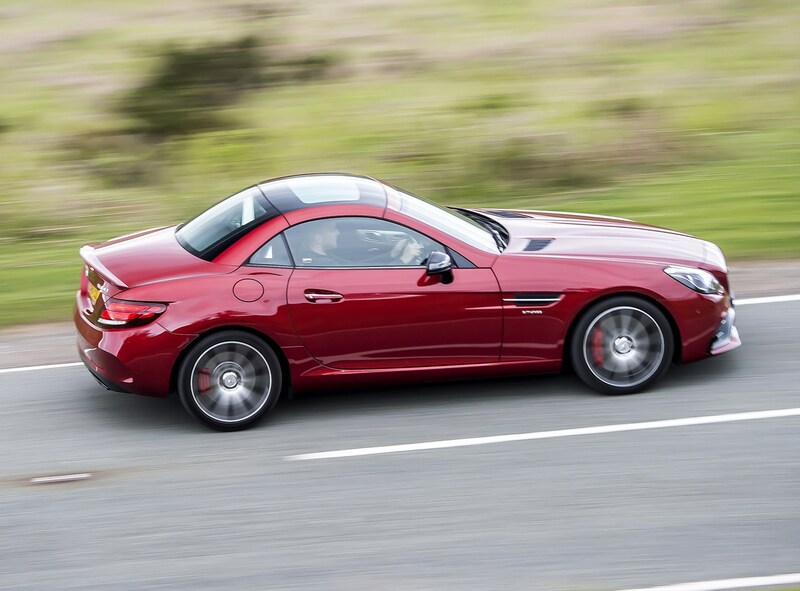 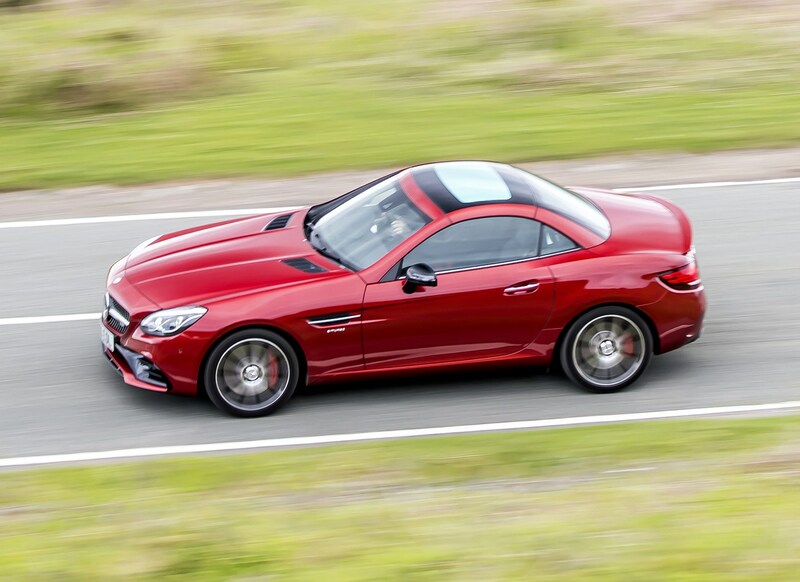 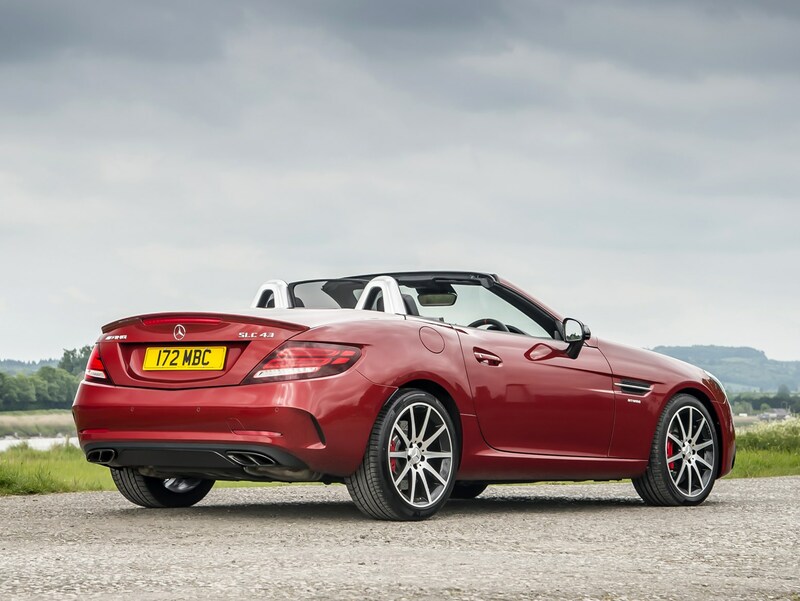 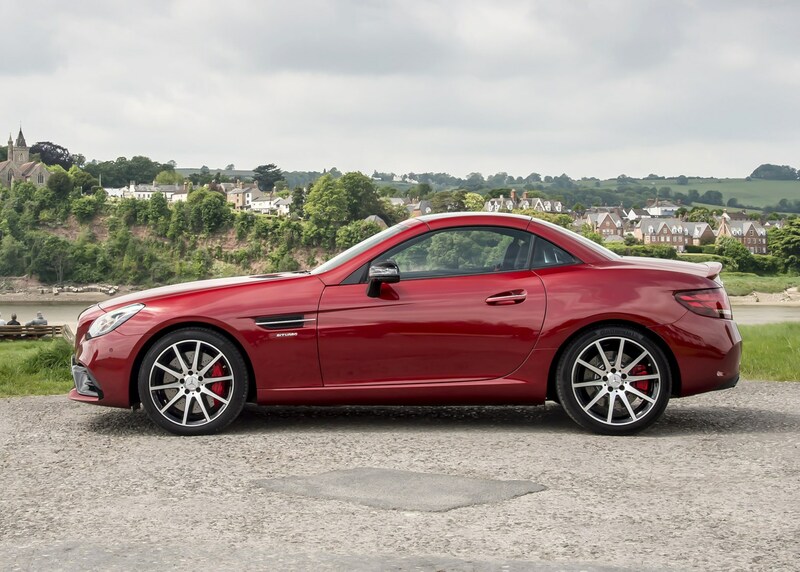 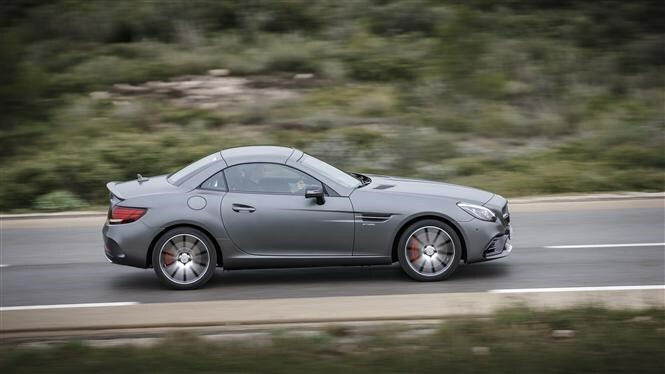 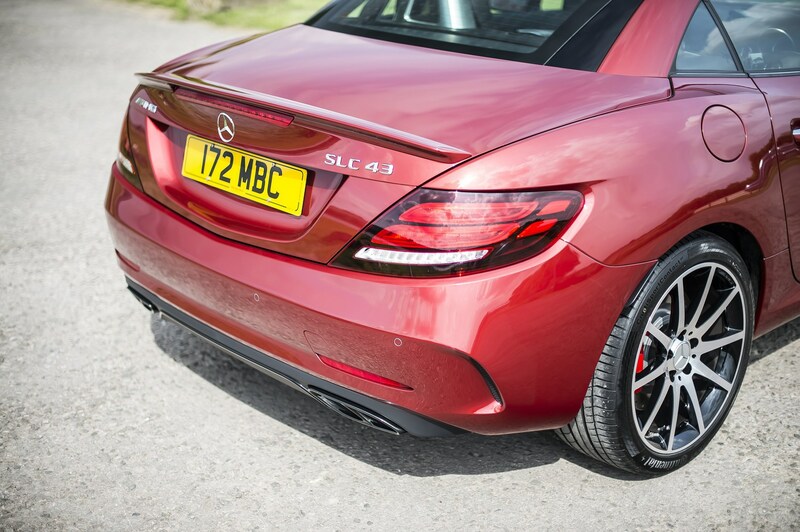 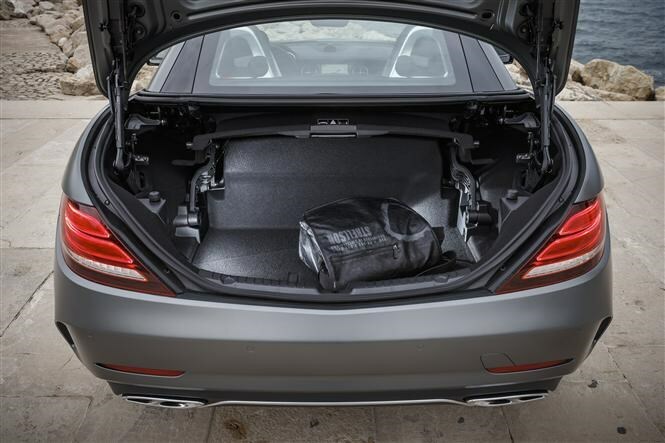 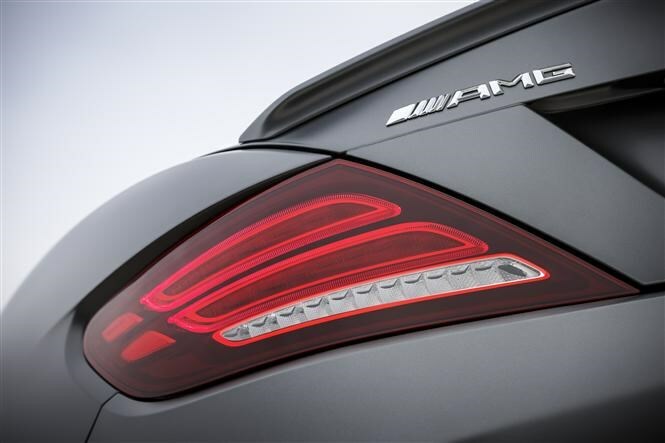 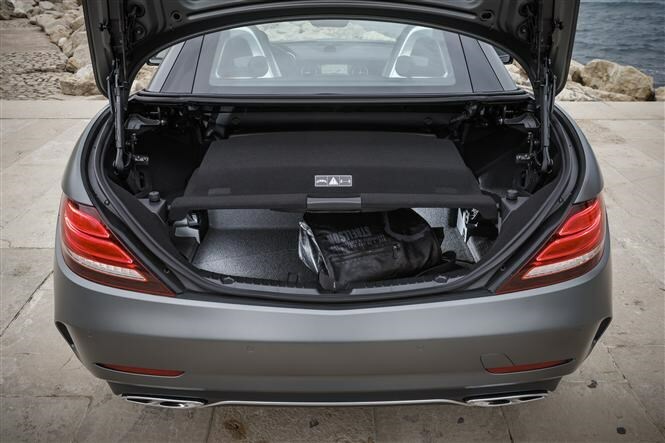 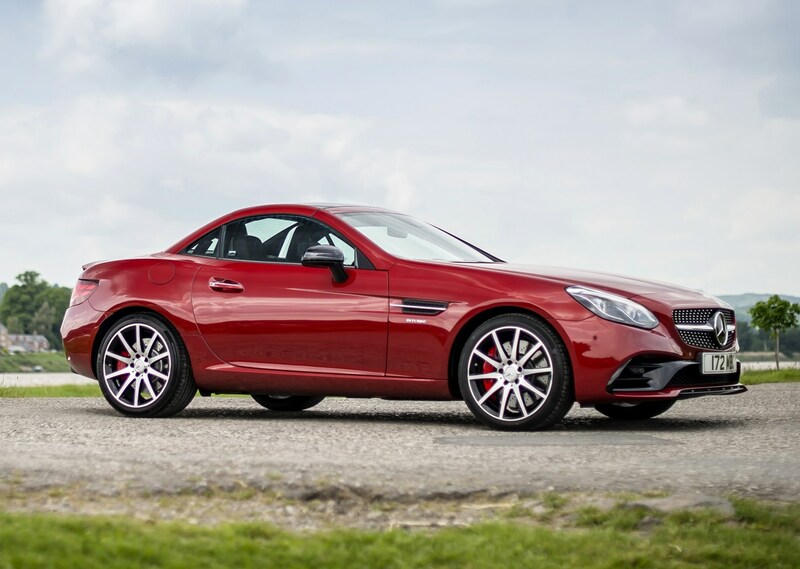 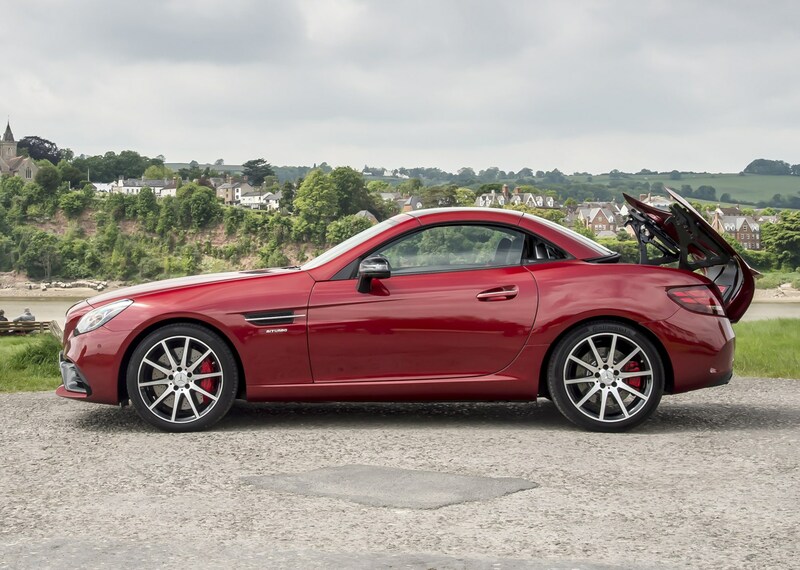 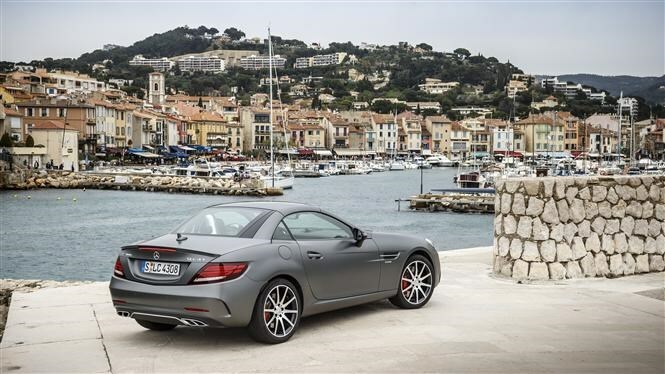 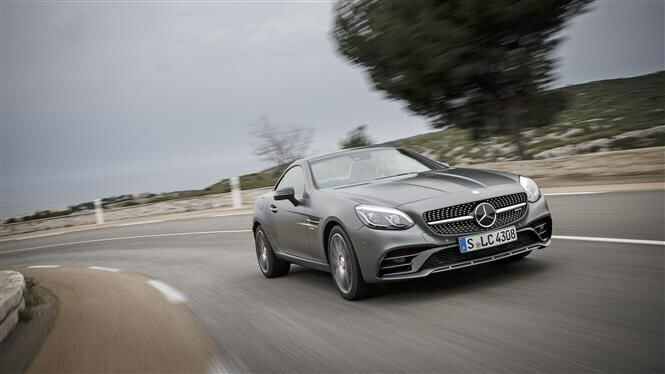 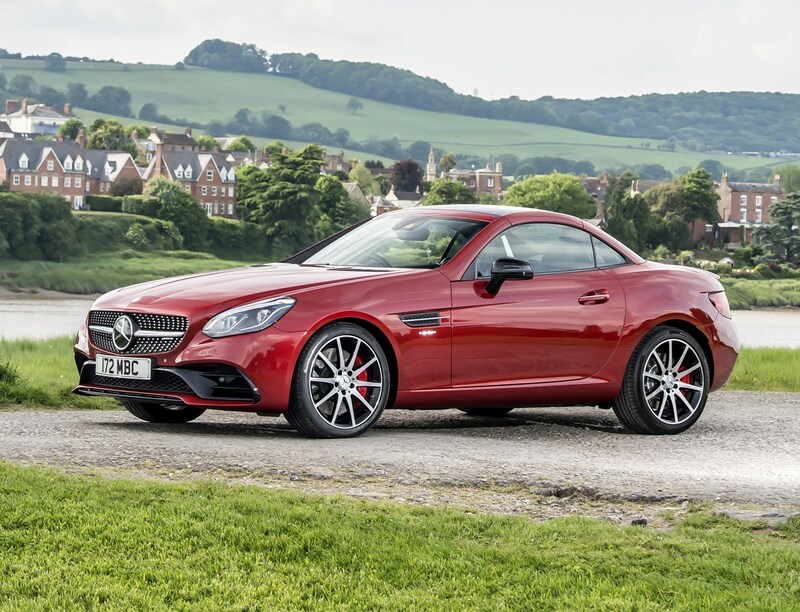 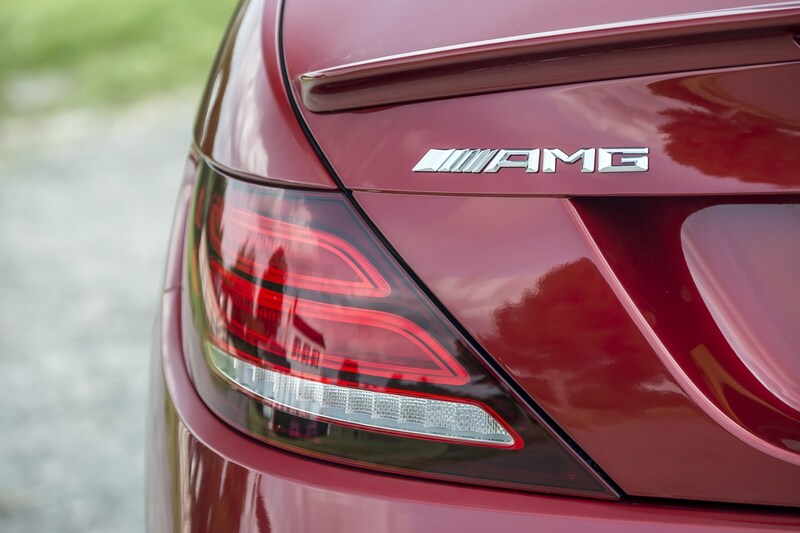 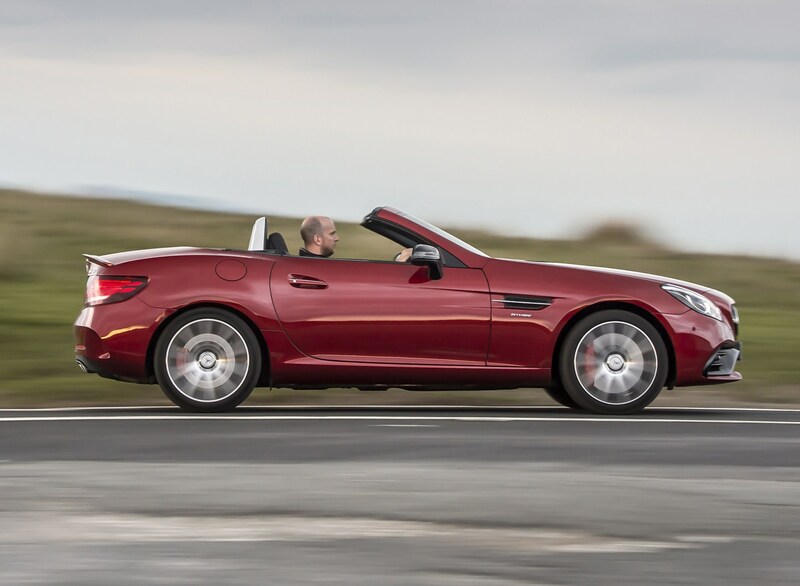 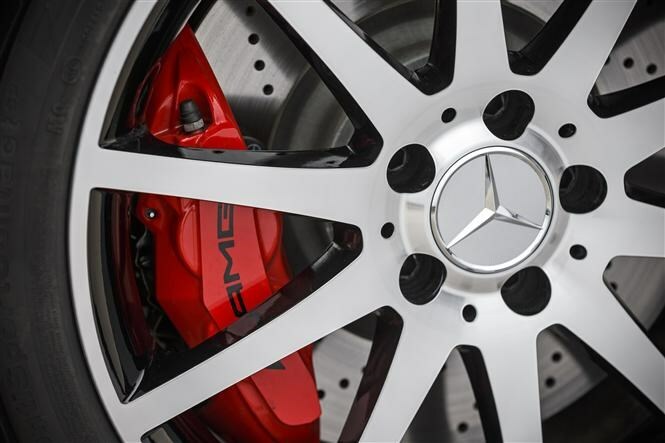 Gone is one of the last Mercedes-AMG products where the numbers on the bootlid still referred to the cubic centimetres of displacement under the bonnet – the 5.5-litre V8 powered SLK 55 has been replaced by the SLC 43. 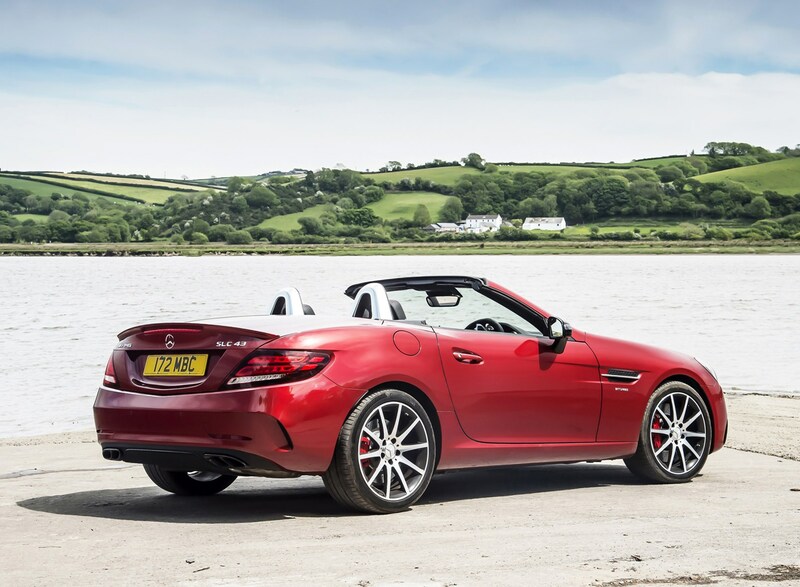 No longer powered by a naturally aspirated muscle-car sledgehammer, the SLC roadster makes do with a 3-litre, twin-turbocharged V6 instead. 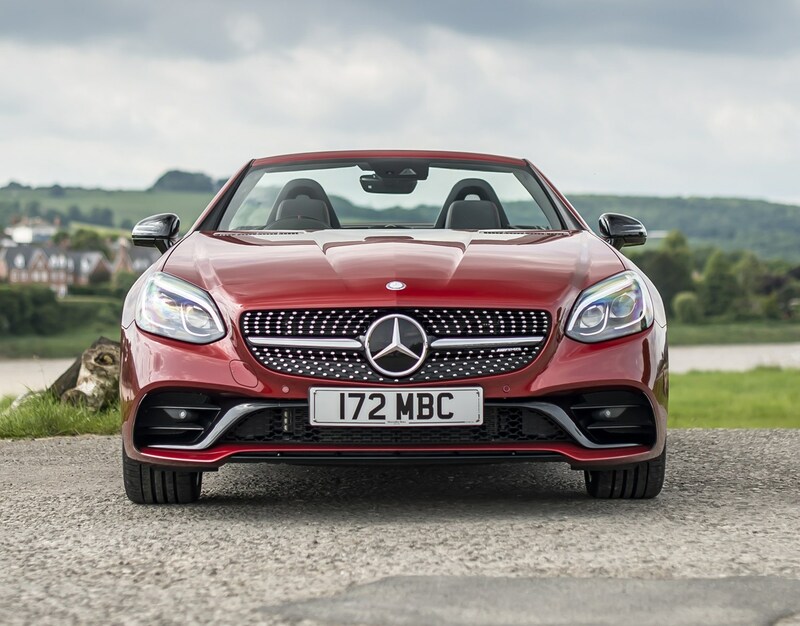 It’s lost a little of the former car’s potency but gained significant improvements in both fuel economy and CO2 emissions – claiming a more pragmatic advantage over rivals like the Porsche 718 Boxster, BMW Z4 Roadster and Jaguar F-Type Convertible. 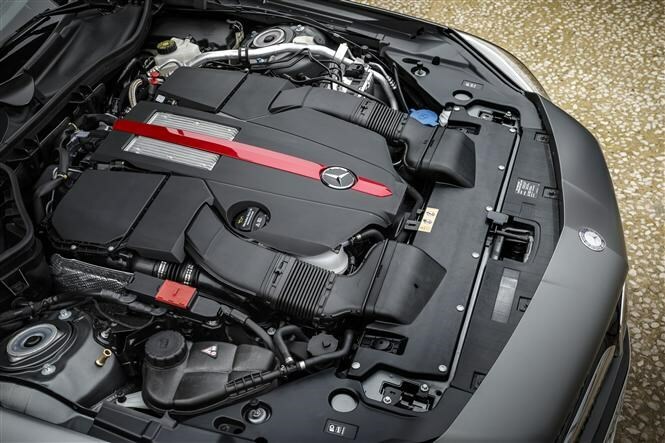 No V8? 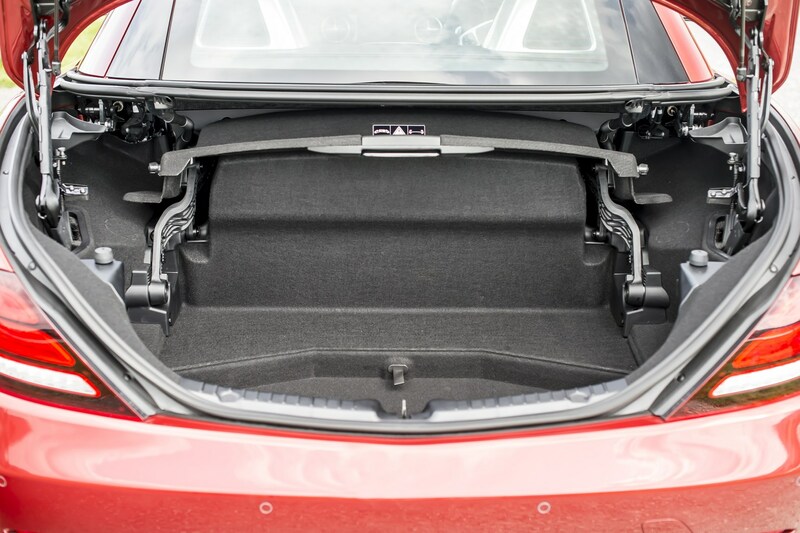 Wasn’t that sort of the point? 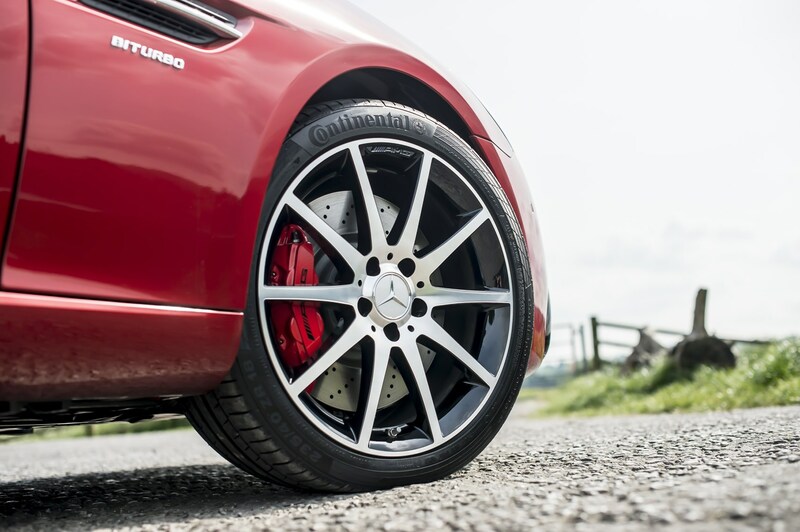 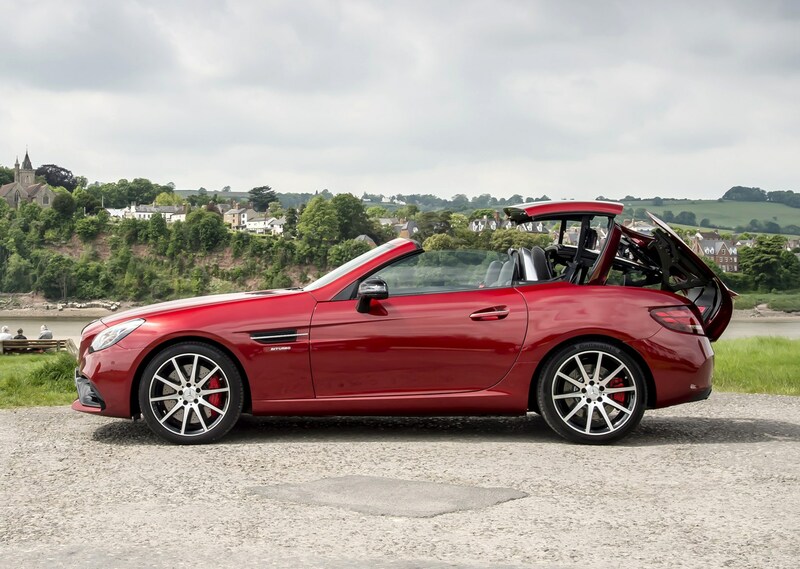 While the old car’s German rivals offered more of a sabre-style approach to driving dynamics, with precise handling and a broad band of communication between the tyres and the steering wheel, the SLK 55 was a bit of a claymore. 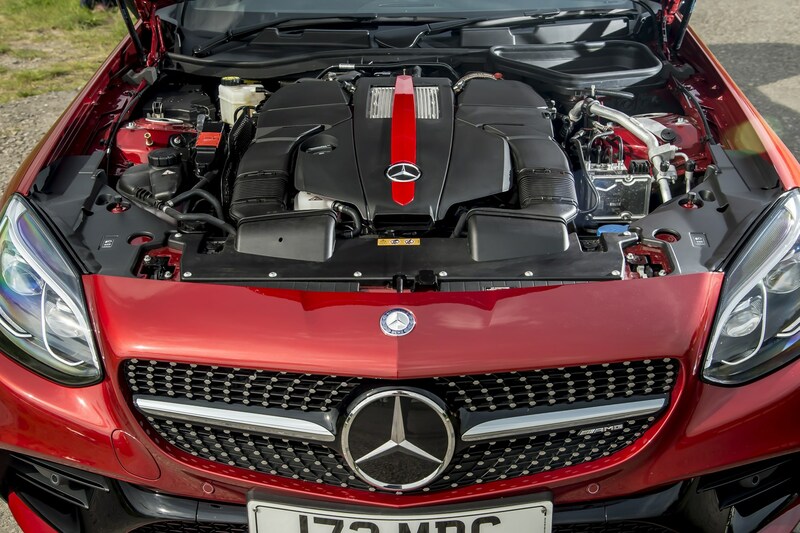 Now it seems the shouty hotrod has grown up and is powered by a smaller engine that is kinder to the environment and your wallet. 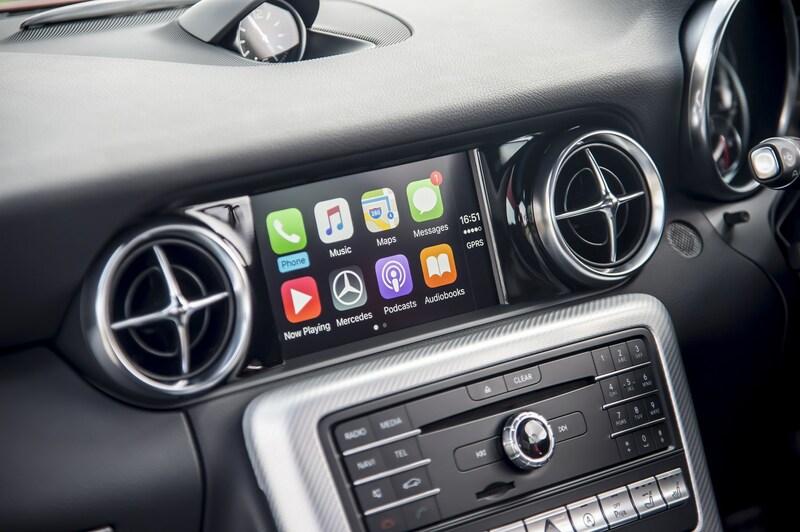 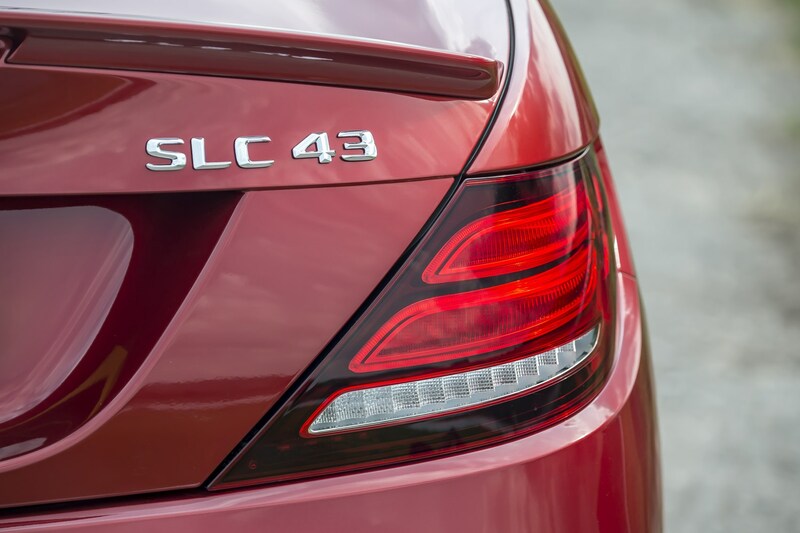 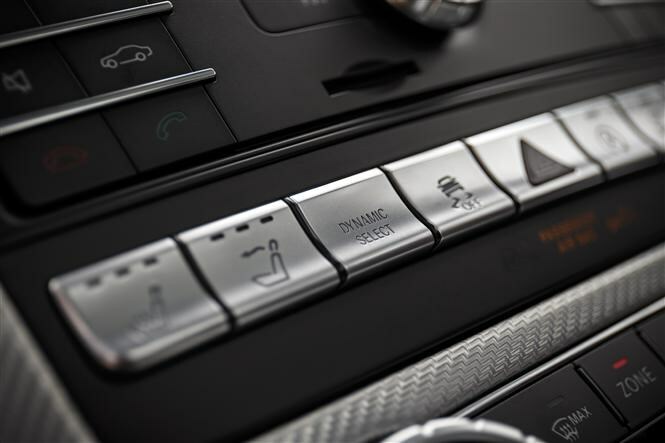 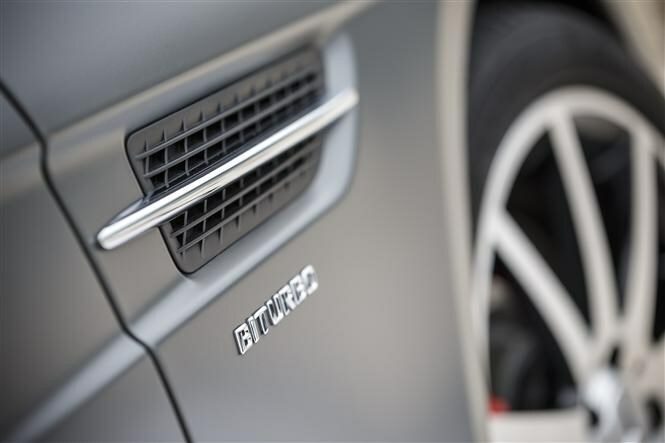 It needs to be good too – with planned instalments in the C-Class, GLC and E-Class ranges, you’ll be seeing a lot more of that “43” boot nomenclature. 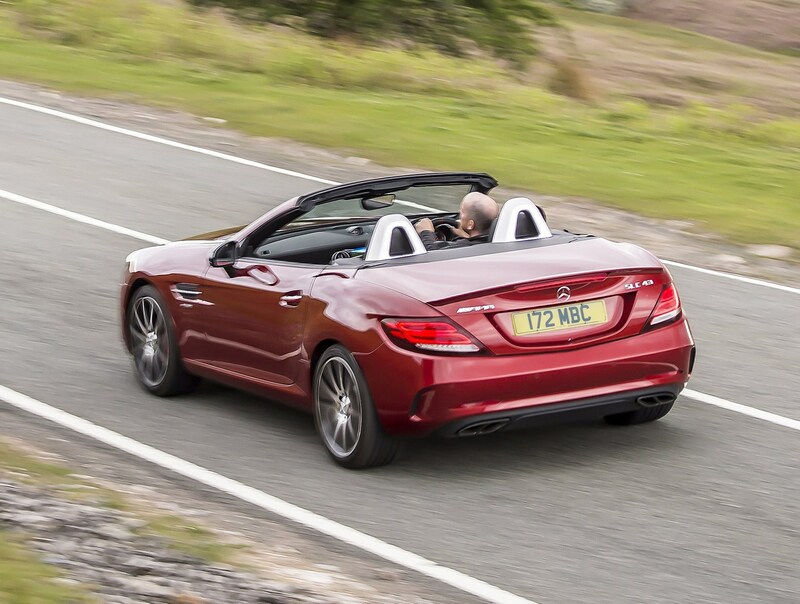 While you still won’t find the kind of driving dynamics experienced in the 718 Boxster, the SLC 43 does feel extremely sporty and on the right road can provide huge amounts of fun. 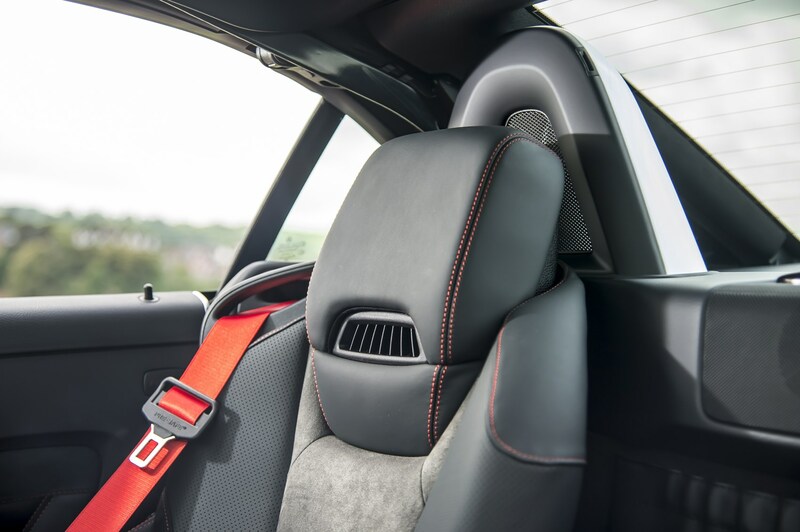 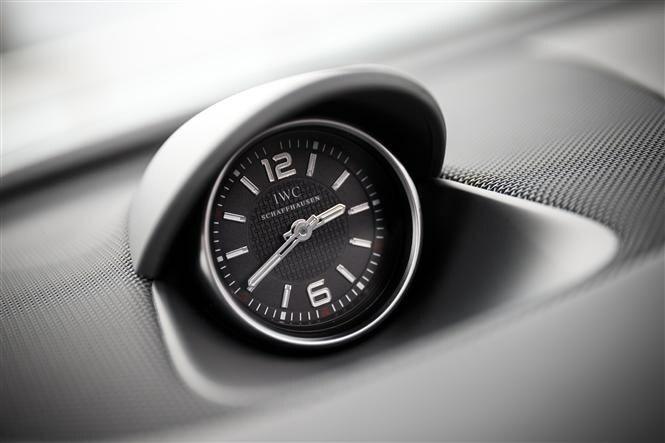 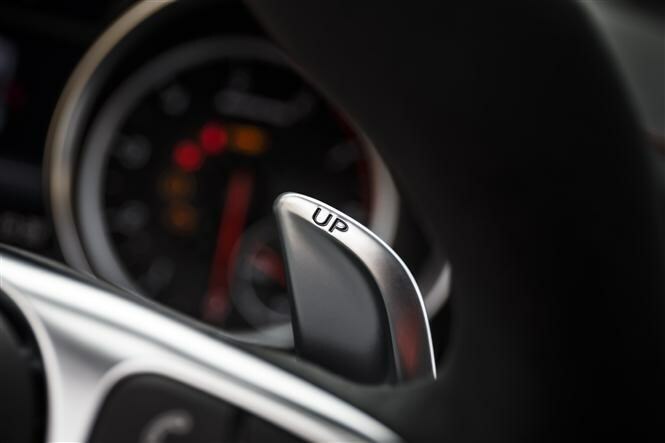 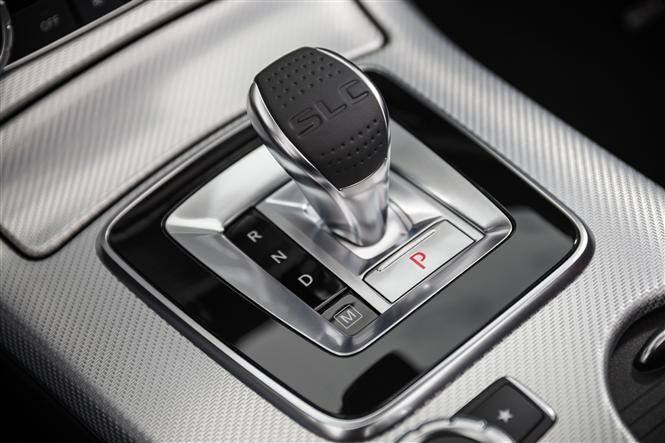 With a standard-fit dual-clutch automatic gearbox expect lightning fast shifts when you’re going for it and easy cruising when you need it too. 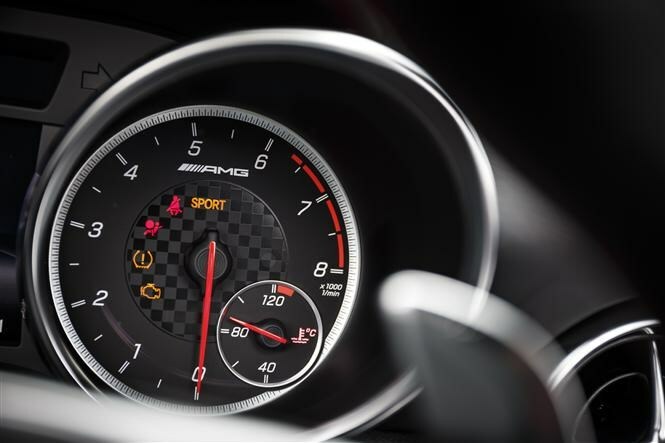 There’s also a Dynamic Select system that helps tailor the drivetrain and suspension set-up between sporty and comfortable too. 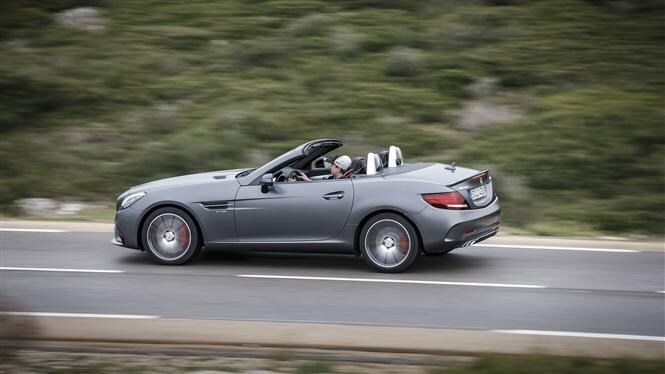 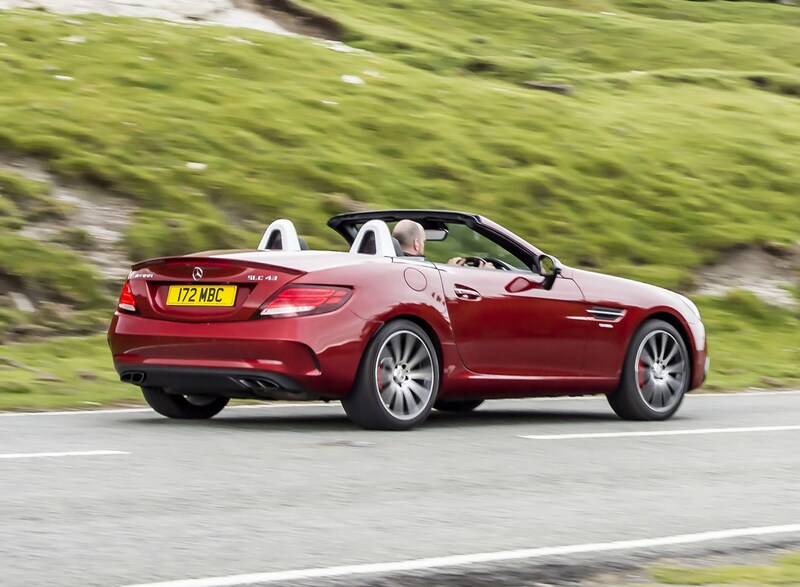 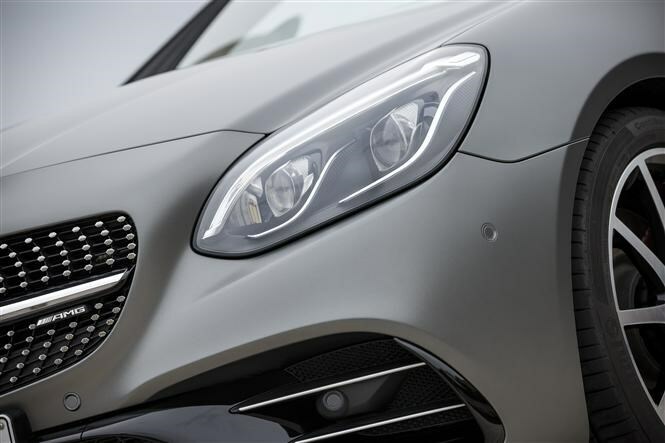 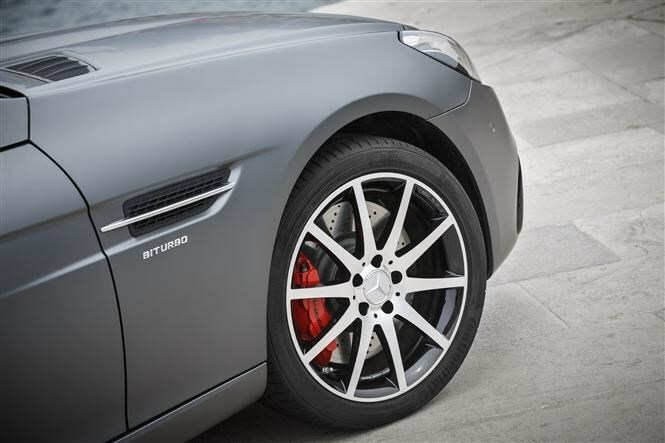 Losing the V8 has hurt the SLC-Class AMG, perhaps more than Mercedes expected. 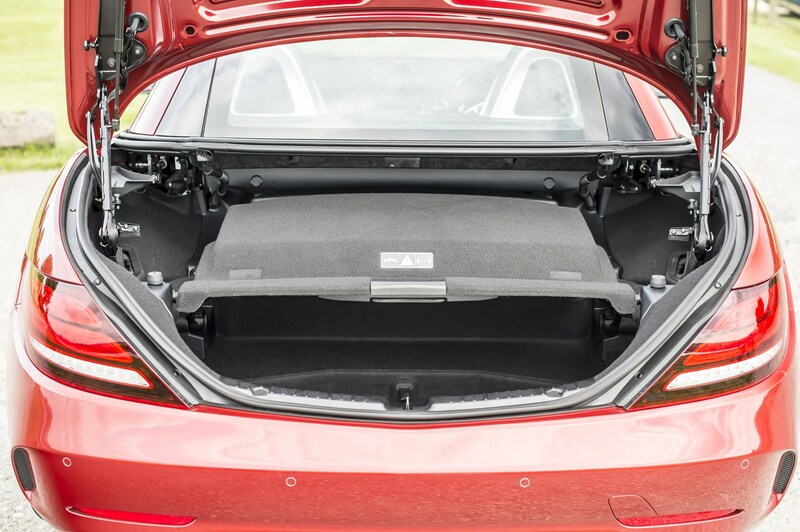 Even though the smaller V6 allows for better economy and less environment bashing, those were two things that typical owners were never particularly worried about. 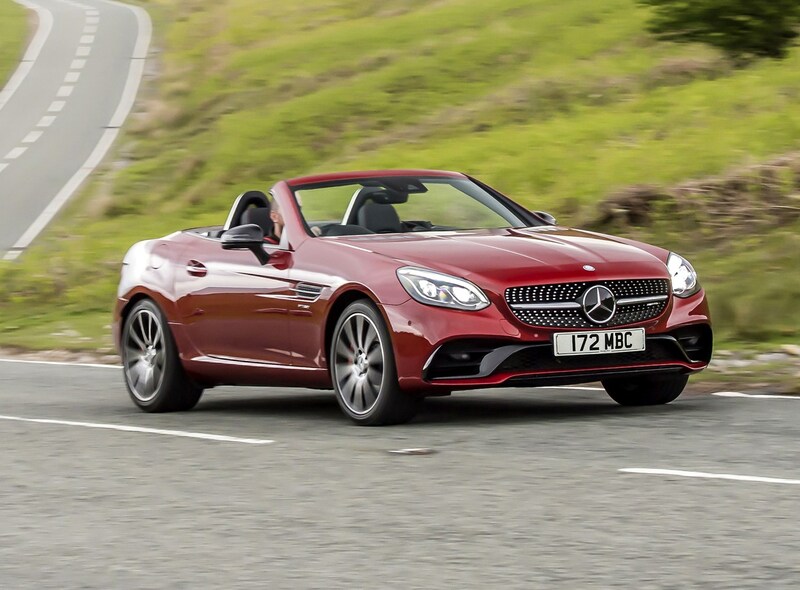 But it’s not a complete disaster, it is noticeably cheaper to run than the previous model, and the handling has improved, if not quite to the level of its rivals. 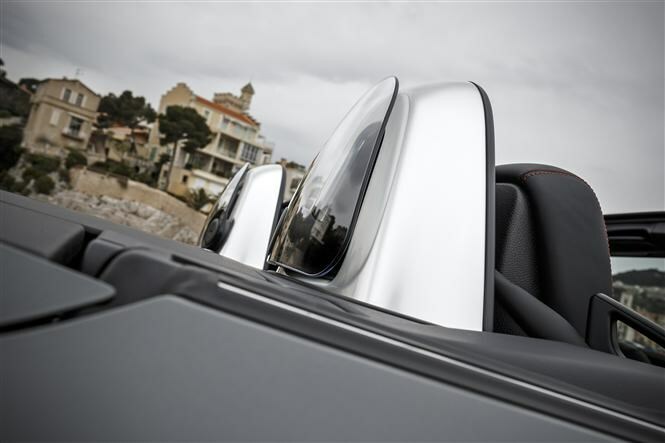 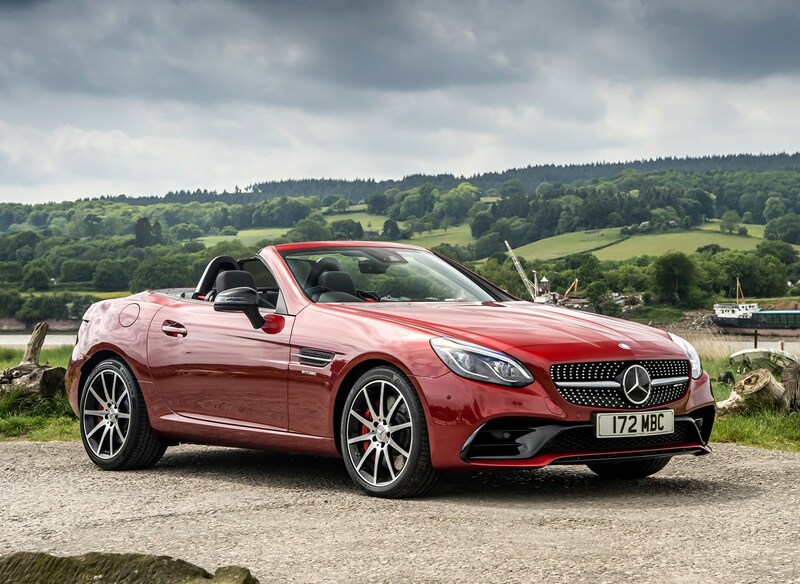 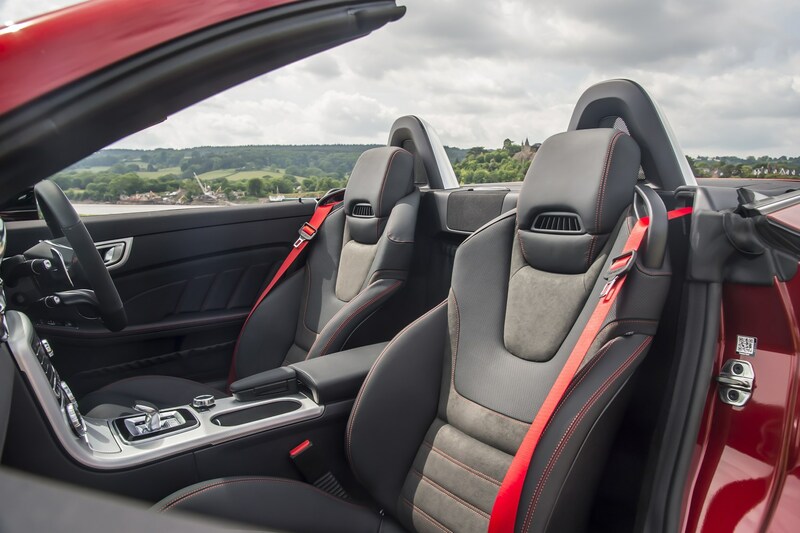 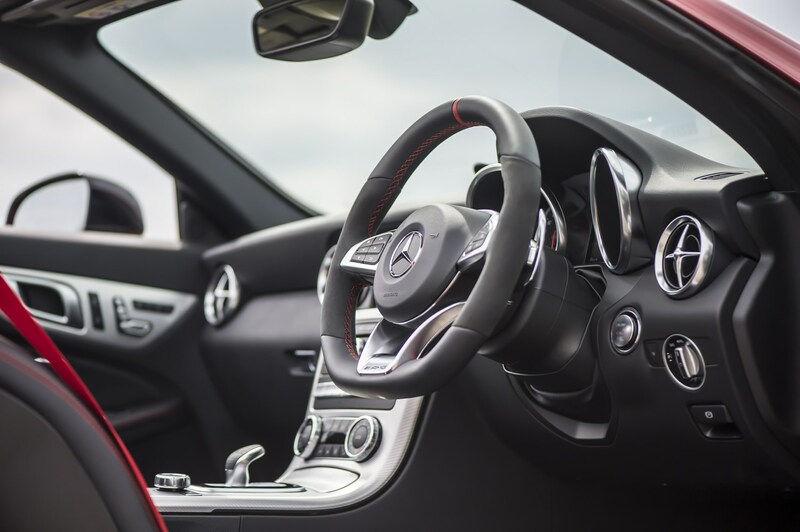 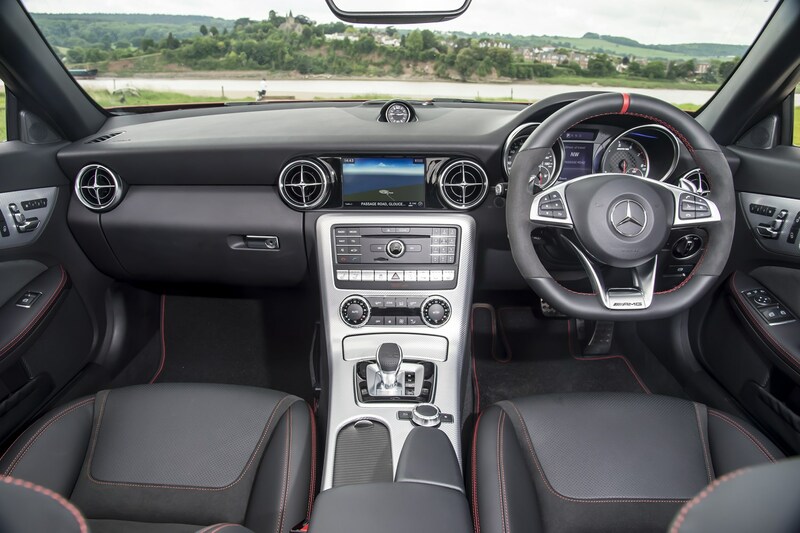 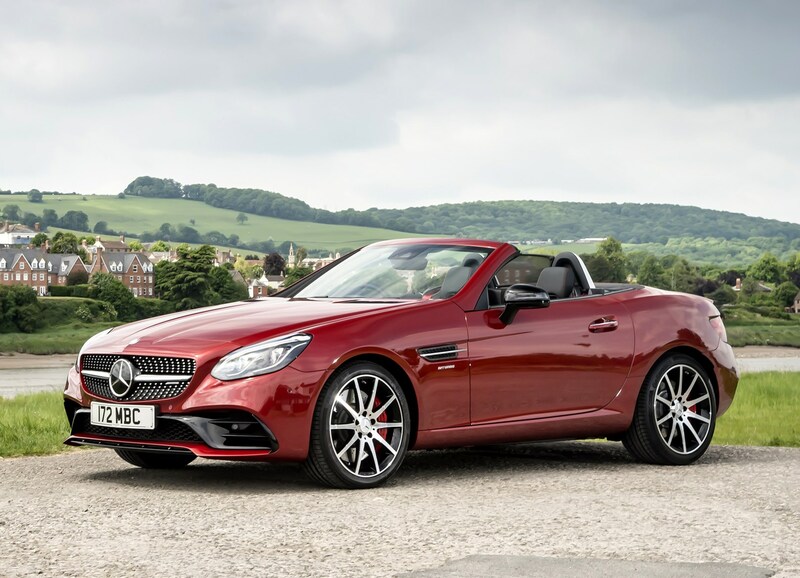 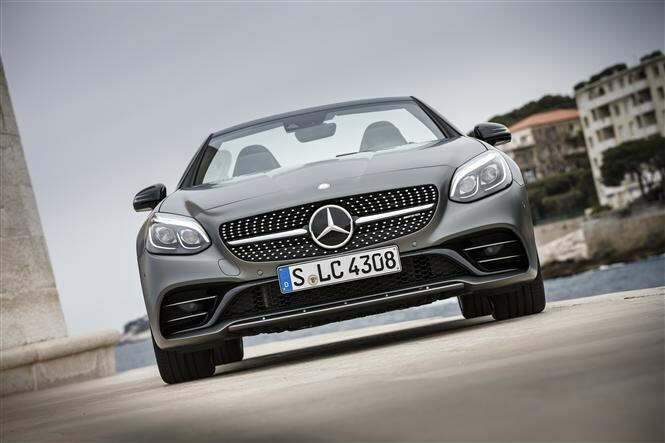 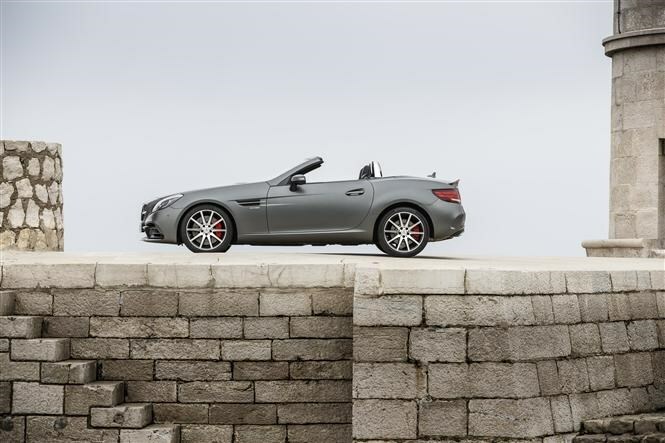 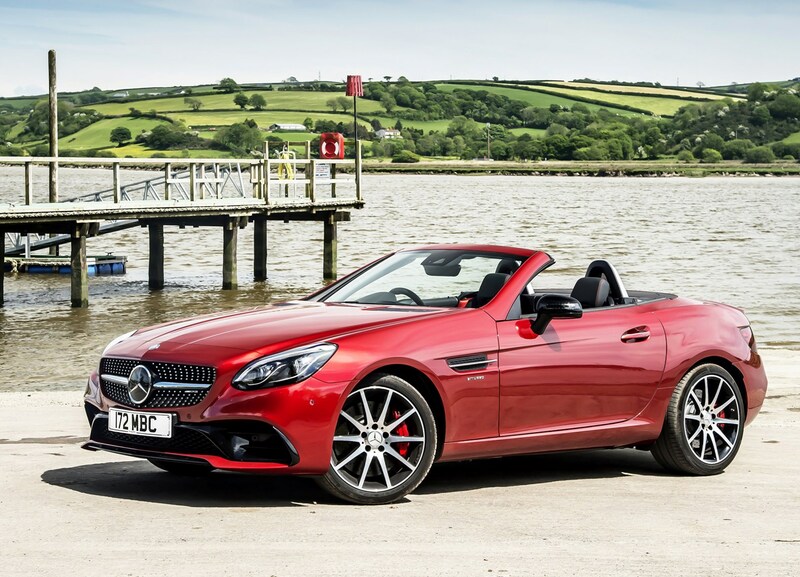 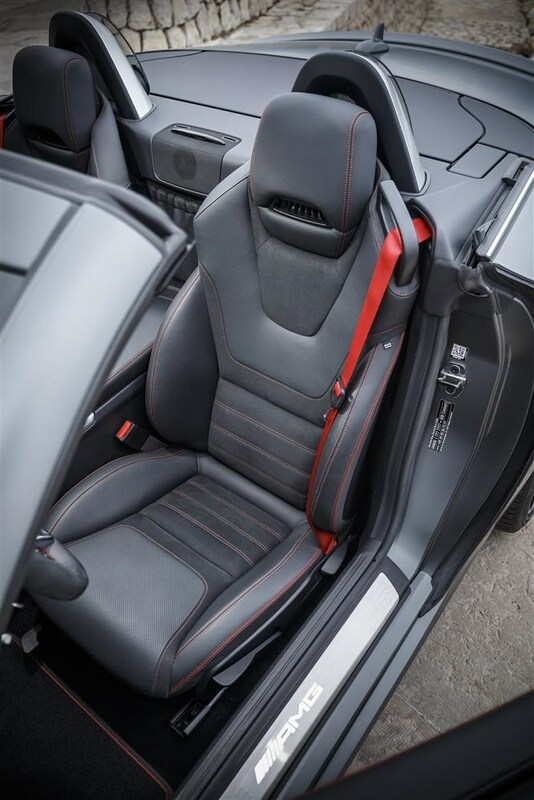 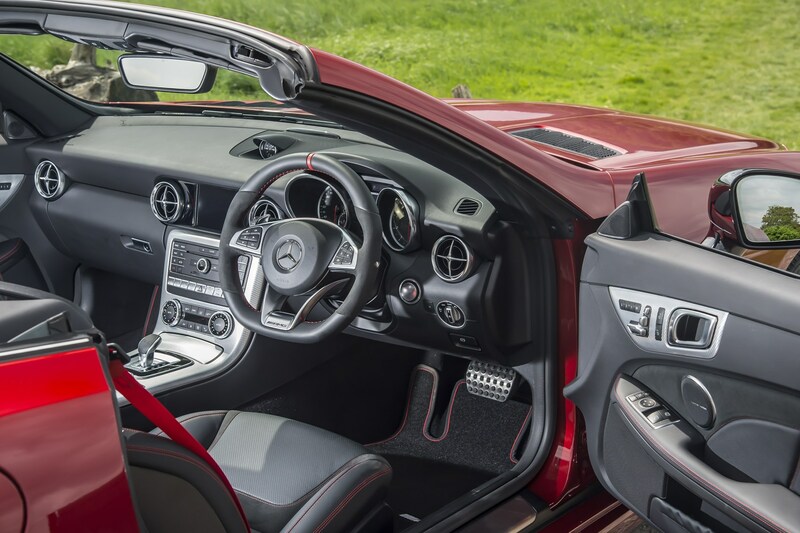 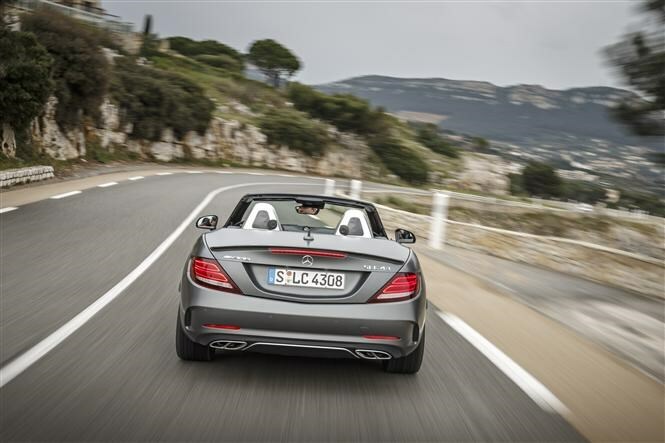 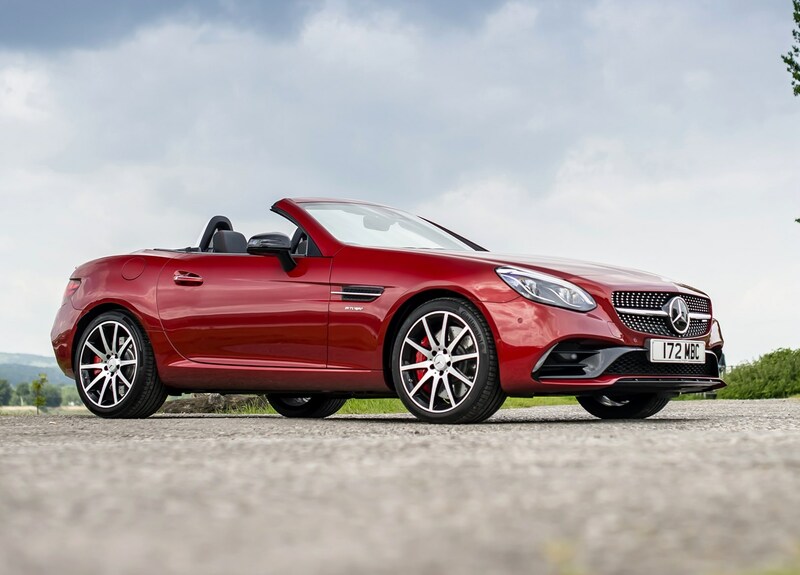 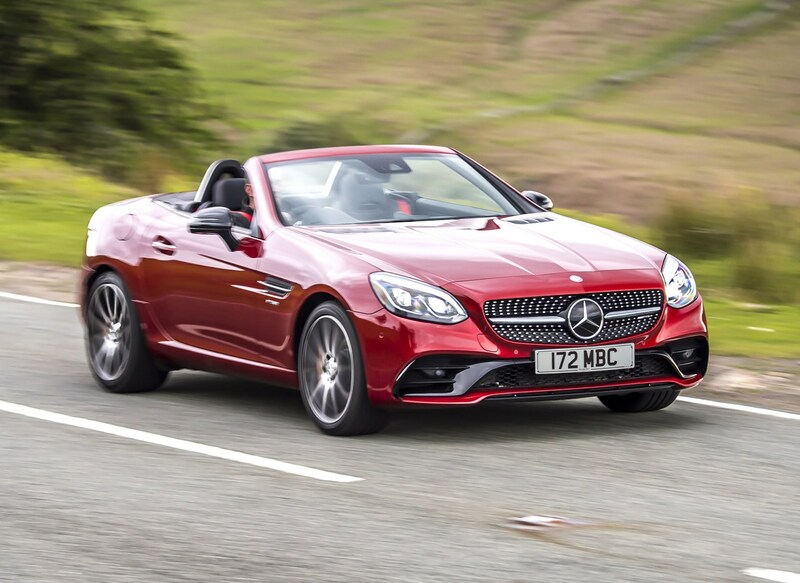 This is a car that carries certain esteem, and regardless of the engine the small convertible Mercedes will still remain a desirable choice on the market, even if there are more complete options out there.